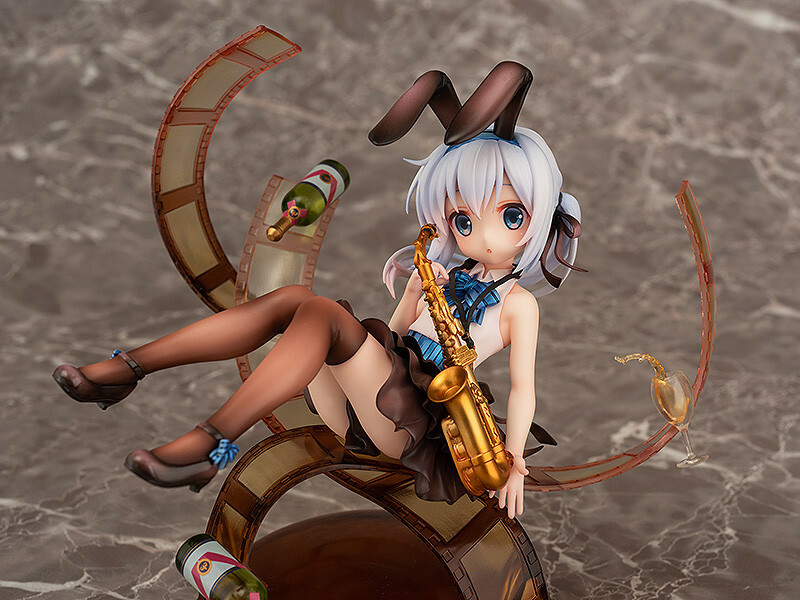 A Jazzy Chino for your collection! From "Is the Order a Rabbit?" 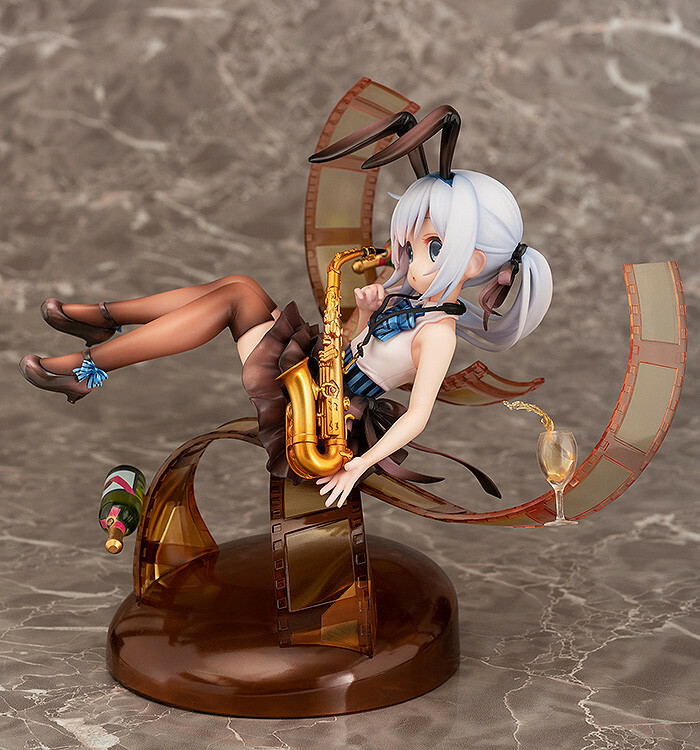 comes Chino: Jazz Style! 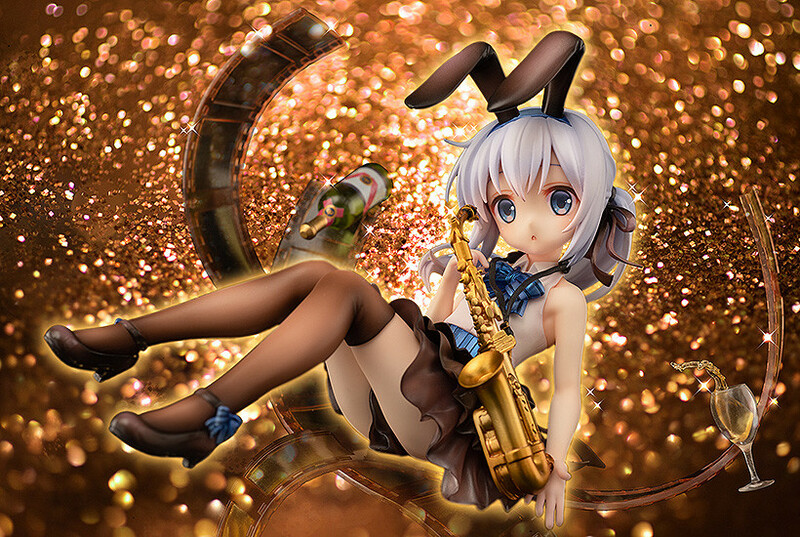 The adorable Chino is holding a Saxophone and is dressed in an adorable outfit based around the color brown. 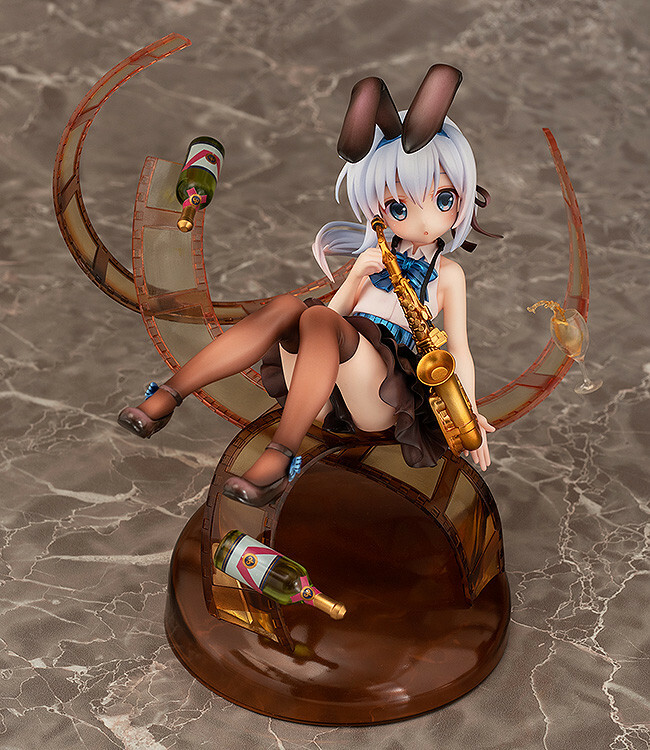 Her lovely bunny ear headband, haltertop no-sleeve shirt and low ponytail make for a very special version of Chino! 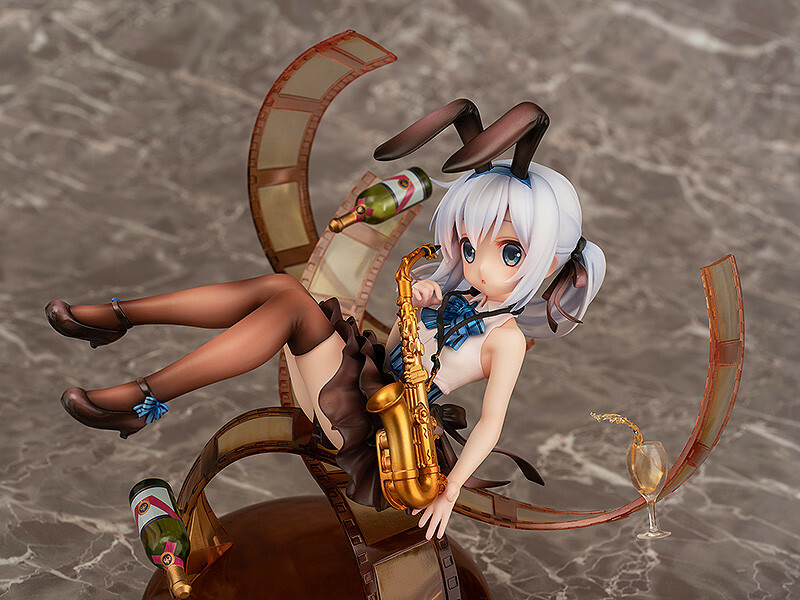 Her glossy ribbon and shoes, translucent frilly skirt and kneesocks have been carefully created for this figure. The stand is a beautiful vignette piece with film rolls and champagne floating around Chino. 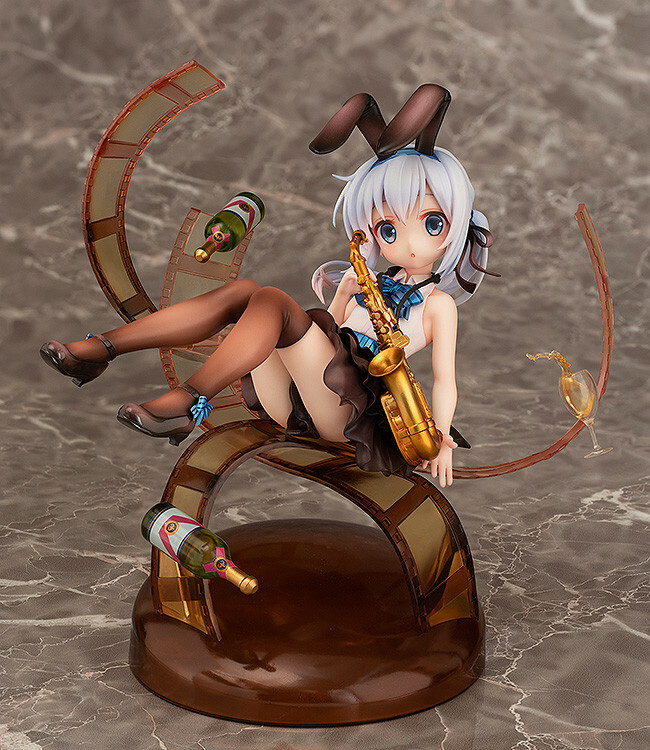 Be sure to add this somewhat more mature version of Chino to your collection! Painted 1/8th scale ABS&PVC figure with stand included. Approximately 160mm in height (including stand). 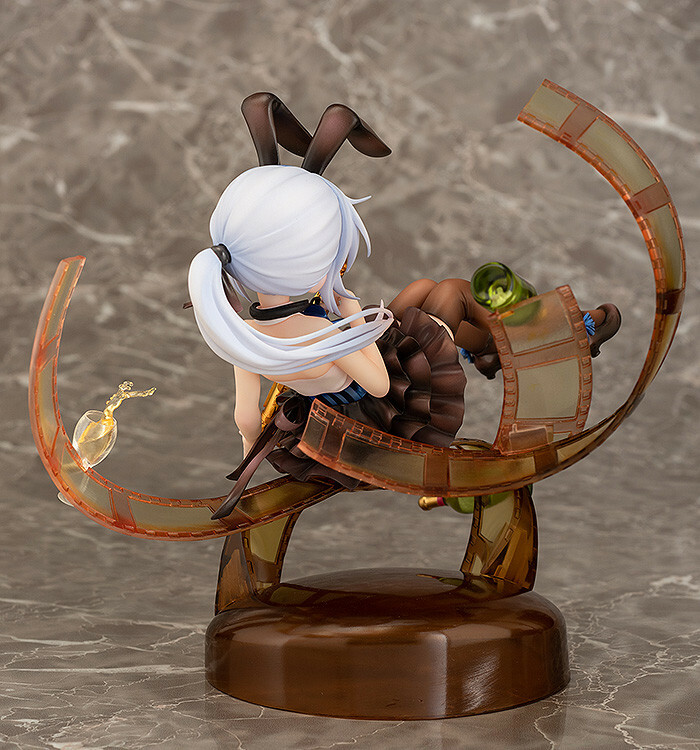 Preorders will be open from 26th September (Wed) from 12:00JST until 1st November 2018 (Thu) at 12:00JST.